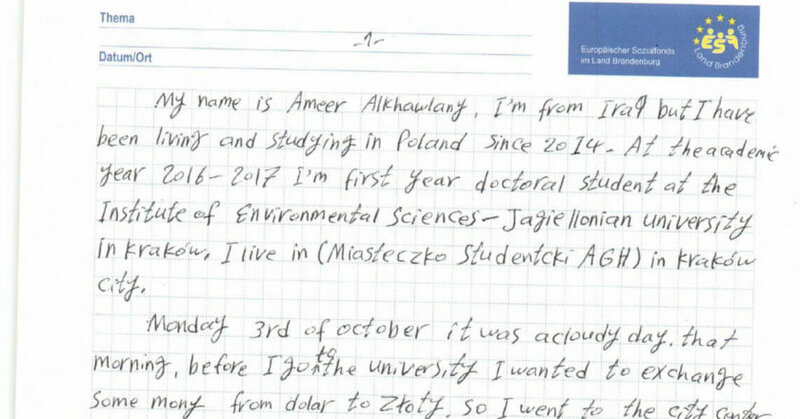 Ameer Alkhalwany is an Iraqi Ph.D. student studying Biological Sciences at Jagiellonian University in Krakow. He received a scholarship from the Polish Ministry of Education to study in Poland. He was arrested by Polish authorities in June 2016 and is awaiting deportation. Ameer Alkalwany still awaiting deportation after being detained in a Krakow.